Cardiac catheterization is one of the most common diagnostic procedures for heart patients. But, because of its invasive nature, it can carry a higher risk of patient-related and procedure-related complications. These complications can often lead to hospital readmissions which, under Medicare, not only serve as a performance measurement for hospitals and physicians, but also incur a steep financial penalty if they occur within 30 days of the procedure. How do hospitals that are continually looking for ways to cut costs, and physicians who are trying to find the most direct route to a solution work together to reduce the risk of readmissions? In this post, we’ll explore different ways to reduce readmissions rates and make the procedure better for everyone involved. Non-invasive techniques offer lower risks for complications and can be used to ultimately confirm or negate the further need for cardiac catheterization. By following appropriate use criteria (AUC) and leveraging tests like FFR, SPECT MPI, Attenuation Correction SPECT MPI or PET imaging, cardiologists can potentially perform fewer unnecessary procedures, a benefit to both the patient and the healthcare system. Integrating AUC compliance into clinical care will also help collect data that physicians can use to design the most appropriate treatment plans and deliver improved clinical outcomes. The bottom line is that a non-invasive approach that can help physicians formulate a more confident clinical decision should be the first line of defense. While it may ultimately lead to an intervention, it could also avoid the assumption of unnecessary risks. By substituting technology with higher accuracy such as Attenuation Correct SPECT MPI or PET MPI, a large number of normal patients will never have to undergo a needless cardiac catheterization procedure. When cardiac catheterization is the most appropriate treatment, it’s critical for the hospital staff, physician, and patient to be intentional about reducing the chance of complications, and therefore, readmissions. Many factors can influence a patient’s likelihood of developing vascular complications during or post procedure. They include individual patient characteristics, the cardiologist’s technique, the choice of either manual or mechanical compression at the access site, the medications used during the procedure, whether a closure device was used, and the quality of postoperative nursing care the patient receives. Assessing a patient’s risk level begins with their medical history and current state of health. Elderly adults, patients with renal failure, and women, in general, have a higher risk of vascular complications. Obese or extremely thin patients are more prone, as are those who have severe peripheral vascular disease or severe systolic hypertension. Patients with a low baseline hematocrit level and platelet count, or who have congestive heart failure, chronic obstructive pulmonary disease, or coagulopathy also assume an elevated risk level. Recognizing the risk factors up front and identifying patients who fall into these categories will put you on higher alert for specific signs and symptoms. Radial catheterizations are generally considered to be easier on the patient and more comfortable, too. It’s a smaller artery that, with applied pressure, stops bleeding more easily. Patients can walk around, leave shortly after the procedure, and return to normal activities, like walking and driving, sooner than others. Recent clinical trials associated the transradial approach with lower risks of bleeding and vascular complications as a whole. With the femoral approach, patients are required to stay in the hospital on bed rest for a few hours with greater limitations upon discharge. Movements by the patient, such as bending legs or ambulation, can lead to bleeding and coupled with the use of anticoagulation therapy, the risk is even higher. Clinical trials have also supported the assertion that the location and the size of the femoral artery makes bleeding more likely and more difficult to manage in comparison to radial catheterizations. Maintaining homeostasis at the access site until the bleeding has stopped will reduce complications, increase safety and comfort, and shorten a patient’s hospital stay – another win for the patient and the healthcare system. Generally, manual compression is very effective, but depending on the size of the sheath placed in the artery, it may take between 10 and 15 minutes of direct pressure, sometimes even longer, to stop the bleeding. As an alternative, you can use a vascular closure device, which will seal the puncture immediately. Pharmacology plays an important role before, during, and after cardiac catheterization. Since thrombosis is one potential complication among cardiac catheterization patients, antithrombotic prophylaxes have proven to be especially effective. The surgical staff should be well versed in anticlotting medications, their drug classification, mechanisms of action, correct dosing, and potential adverse effects. The use of contrast in cardiac catheterizations can also lead to complications like allergic or anaphylactic reactions and nephropathy. Patients with seafood, penicillin, or atopic allergies, or those who have suffered past adverse reactions are at a considerably higher risk. You can, however, decrease the likelihood by premedicating these patients with glucocorticoids, H1 antihistamines, and H2 antihistamines. Ionic contrast should also be avoided and replaced with low- or iso-osmolar nonionic contrast. Following cardiac catheterization, patients generally require several hours for recovery and are then transferred to a hospital or outpatient room. Many of the typical complications present themselves during the transition, which means the staff must be even more vigilant post-procedure. Most complications are caused by inconsistencies in patient assessments, medication errors, unrecognized changes in a patient’s condition, unintentional sheath removal, and a lack of appropriate intervention. Studies show that meticulous postoperative care performed by critical care nurses contributes significantly to a successful recovery void of complications. Vital signs should be taken every 15 minutes for the first hour, every 30 minutes for the next hour, and then every hour moving forward. Symptoms, mental status, blood pressure, and respiratory status should be continually assessed until the patient is discharged. To ensure a consistent approach to care, a hospital’s administrative and nursing leaders should consider developing protocols and policies for patients who undergo cardiac catheterization. Many facilities provide educational seminars and simulation labs on site, and to improve safety and care, have established specialty units exclusively for cardiac catheterization patients. Cardiac catheterization, like any other invasive procedure, will always pose a higher risk for readmissions. With the reliability of alternate, non-invasive studies, clinical decision-making can help avoid potential readmissions. But, when cardiac catheterization is indicated, there are multiple precautions that can mitigate complications and ultimately reduce readmissions and their financial consequences. Operating a financially successful practice requires a daily focus on operational concerns, but it also necessitates seeking new opportunities for revenue streams. Many cardiologists overlook opportunities to offer ancillary services that will boost practice income. After a cardiac event, many patients are hesitant, even fearful, of exercising. Consider establishing a cardiac rehabilitation clinic where patients can safely work out, raise their heart rates, and improve physical function all under the supervision of a trusted doctor. To qualify as a rehabilitation clinic, Medicare requires the program to include a medical evaluation and a comprehensive program that helps modify cardiac risk factors. Exercise and nutrition counseling and overall lifestyle education are critical components. You might also offer blood pressure and stress management, lipid management, and a smoking cessation program. While CMS provides reimbursement for up to 36 sessions, a self-pay maintenance program that continues after reimbursed services end could be especially profitable. There are some costs to consider, however. A physician must be on the premises, so it’s critical to find space within your building. You’ll also need to hire an exercise physiologist and a medical professional who can provide education. While it’s a great way to stay connected with your patient base, it’s also a place where patients will be comfortable and feel a sense of camaraderie with other patients while they improve their health and reduce risk factors. With more than 180,000 new pacemakers and defibrillators implanted every year, adding a maintenance service might serve you well. Pacemakers should be tested every three months, and batteries only last between six and ten years. Based on the size of your practice, an in-house service might make financial sense and contribute to the caliber of your overall patient care. It would allow you to follow your patients as you check for battery depletion, pulse generator malfunction, lead malfunction, and pacemaker pocket erosion. Between in-home monitoring, interpretation, and office visits, the revenue can add up quickly. With a large patient population, an extension of your device services could include group education and support for patients and families. While not exactly new, recent changes in the Physician Fee Schedule make it much easier for physicians to provide CCM services to their Medicare patients. Easier enrollment into the CCM program, the elimination of face-to-face visits for existing patients, no longer requiring separate consent forms, and additional reimbursement for time beyond the standard 20 minutes makes it much more financially attractive. The creation of a care plan will also boost reimbursement as will the treatment of moderate and high complexity patients. The goal is better care coordination, the results of which have been well documented. But, the challenge is how to execute and operationalize this method of patient management. Several third-party vendors provide automated CCM programs that can help physicians manage their chronic care patients in a way that easily and successfully captures the maximum reimbursement. With approximately 50% of all prescriptions not taken as directed and 25% of which are never picked up from the pharmacy, medication adherence is a significant problem in our healthcare system. If physicians had the opportunity to dispense the initial pack of medication at the point-of-care, it would not only increase compliance, but it would also generate an additional revenue stream. The program does not add any cost to the practice, or the healthcare system, and can be easily integrated into your current office workflow. By leveraging the physician-patient relationship, patients would be better educated on the need for medication adherence, and it would simplify the prescription process. A medical adherence solution could also be tied to more effective chronic care management. CCM patients take multiple pills at different times of the day, and in a different order, so smartly designed, calendarized, compliance packaging or a simple conversation with a familiar and trusted CCM professional could easily prevent a mix-up–or a potential catastrophe. In the end, a medication adherence program could allow you to provide complete care and better outcomes, both that contribute to the greater satisfaction of your patients. While additional revenue streams are attractive, you should evaluate each opportunity carefully and with proper consideration. Look for services that will best serve the size of your practice and the needs of your patients. Determine the cost of implementation and the potential to differentiate your practice, increase your reach, and attract new patients. Making an informed and educated choice to add additional services could be one of the most important business decisions you make. After much debate, countless delays, and requests from providers to have more involvement in the process, CMS has canceled Episode Payment Models and the Cardiac Rehabilitation Incentive Payment Model. While these payment models have been withdrawn, CMS’ focus on value-based care has not changed. The stated intention of original programs was to create payment models that help improve quality and care coordination while, at the same time, lower spending. The cancellation of Episode Payment Models and the Cardiac Rehabilitation Incentive Payment Model will now offer the CMS greater design and testing flexibility and the opportunity for more provider engagement. According to CMS Administrator Seema Verma, the new voluntary payment bundles are in the works and details will be announced soon. The original models could have been modified to allow for voluntary participation on the planned January 1, 2018, start date. Still, CMS concluded that the extent of restructuring would not have allowed adequate time for providers to prepare, implement, and comply with the new requirements. Looking forward, CMS plans to offer more voluntary initiatives, from which providers can choose to participate. Although some strongly believe that significant progress can only be made through mandatory efforts, evidence suggests that participation, and thus change, is positively affected by well-designed voluntary models. Verma is a strong proponent of the voluntary models. Although she supports efforts around innovation, she’s somewhat skeptical of mandatory models. “We need to make sure we’re not forcing, not mandating individuals to participate in an experiment, a trial that there’s not consent around,” Verma said. The gradual expansion of the models and a smaller scale that allows ample time for evaluation is what will bring about change. Launched in 2015, the ASNC ImageGuide Registry is the first national registry developed to support non-invasive cardiac imaging and reduce the increasing regulatory reporting burden. It effectively promotes and ensures continuous quality improvement for referring physicians, technologists, and laboratories by improving efficiency, elevating the level of patient care, and reducing downstream costs. With equal weight, it was designed with the desire to build a database that spurs new research that will, in turn, grow and expand the nuclear cardiology field. Why is it important to physicians? Across the entire healthcare insurance industry, plan payers are continuously moving toward value-based purchasing where cost and quality are major factors that help determine reimbursement levels. Alternative payment models, bundled payments, and higher deductible plans in the commercial insurance market and Medicare’s new quality payment and the MACRA MIPS programs are clear indications of the shift in direction. All lend themselves to physicians practicing within the clinical practice guidelines. The ImageGuide Registry can promote and reinforce the highest quality delivery of care and improve outcomes at an appropriate cost point, which, in turn, can help increase reimbursements. In addition, the measures, which were created by and for ASNC members, are more meaningful to the nuclear cardiology industry than what would be reported through traditional MIPS measures, another way ASNC has committed to helping physicians achieve appropriate reimbursements and promoting the highest level of excellence in diagnostic imaging. The ImageGuide registry allows physicians to submit data and, based on ASNC reporting guidelines, determine their level of performance. Are they testing the proper patients with the appropriate indications and using the applicable protocols? Are they using dose optimization strategies and returning reports to referring physicians on a timely basis? Physicians, or the practice administrator, can review the data over a given time period and identify areas for improvement. Given the change in healthcare reform and the increase in out of pocket costs, patients are becoming more savvy. As consumers, they want to make sure they choose a physician that delivers the highest quality service, orders only the appropriate tests, and helps them avoid multiple copayments for unnecessary visits. The registry offers concrete evidence that helps physicians demonstrate the value they provide to patients who are paying more than they have in years passed. Physicians will be able to use the registry to compare their performance against the 15 different metrics it tracks. And, because CMS has recognized ASNC’s ImageGuide Registry as a Qualified Clinical Data Registry (QCDR), physicians who participate and submit data to the registry will also meet the Physician Quality Reporting System (PQRS) requirements each year. How do physicians submit data? Data can be quickly and easily submitted manually through the register’s portal, which takes a speedy 60-90 seconds. If offices are using reporting software, like Sytermed, Cedars-Sinai, or INVIA, they’ll be able to automatically submit their data and bypass the manual entry. ASNC asks that physicians submit their tests on a regular basis, without any cherry picking of cases. The objective is to review all tests to identify opportunities for improvement. Physicians will be able to view their individual data, but the practice administrator will be able to look a comprehensive report of the entire lab’s performance. Even though it’s physicians who are being tracked, it’s also helpful for the technologists because the registry tracks overall quality. It takes a whole team to improve the quality of service and care, so the reporting applies to the entire lab. Who should join the ASNC Registry? The registry is available to any nuclear cardiology lab or physician. 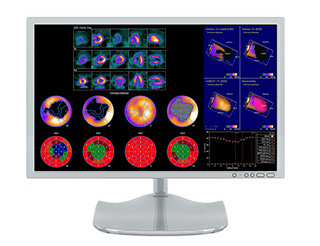 In fact, for cardiologists who perform nuclear cardiology, participation in MIPS through ImageGuide is the most cost-efficient and effective method of submitting data. Because the benefit from Medicare applies to total Medicare receivables, and ImageGuide is specific to nuclear cardiology, physicians are able to track their imaging, improve it, and reap the benefits without having to submit as much data. Other registries often require the submission of all patient management. Practices can be set up in the registry as a cardiac imaging group, a smaller practice, or simply as physicians performing nuclear cardiology. If you’re an ASNC member, the registry is complimentary with your paid membership. If you’re not a current member, the cost is $750 per year, which is still a prudent investment given the potential reduction in Medicare reimbursements it could help avoid. If you think that participation in the registry will require heavy lifting, it’s quite the opposite. ASNC has support that can help will registration and data submission, initially and ongoing, so it’s not as difficult as one would think. If you’d like to get started, simply visit the ImageGuide portal and begin the enrollment process. If you have questions or need assistance, contact an ASNC representative. Dr. Raiyan Zaman recently spoke at the 2017 SNMMI Annual Meeting in Denver, Colorado about a revolutionary system that will dramatically improve the early clinical diagnosis and treatment of coronary artery disease (CAD). The Circumferential Intravascular Radioluminescence Photoacoustic Imaging (CIRPI) system is the result of an idea that Dr. Zaman jotted down on a scrap piece of paper one evening so she wouldn’t forget about it in the morning. Thinking about her research, she wondered about the composition of atherosclerotic plaques, which she hadn’t entertained before and considered adding a photo echo-stick to her current work on characterizing vulnerable plaque. That one idea could significantly change the way CAD is assessed and treated. It could also help prolong the lives of a wide number of people by helping to manage their heart disease well before they experience additional, more advanced symptoms. What is the CIRPI System? The system includes a unique optic-based probe that combines circumferential radioluminescence imaging (CRI) and photoacoustic tomography (PAT). Not only is it able to locate plaque, but it’s also able to differentiate between stable and vulnerable plaque and determine its composition. Physicians will be able to more accurately assess the clinical situation and decide on the appropriate course of treatment for the patient based on this information. Currently, there is no imaging modality clinically available that can detect any early stage of vulnerable plaque buildup, including angiography, which can only be used in the advanced stages of plaque detection. It’s unique because it gives the interventional cardiologist substantially more diagnostic information. When will the CIRPI System be available? The CIRPI System is still being tested and is expected to move to clinical trials soon. Dr. Zaman estimates that the CIRPI System pilot study should be up and running within three years. In fact, there are already several cardiologists who are looking forward to enrolling several of their patients. Dr. Zaman’s late night wondering was what won an NIH K99/R00 award that funded her research and eventually led to what may be the most effective method in the treatment and risk management of CAD. We’ll be following her progress and will be excited to report on any updates. Cloud-based PACS can be used for a wide range of radiology and cardiology test modalities. These include Nuclear Medicine, Nuclear Cardiology, CT, Cardiac Cath, Echo, Vascular, General Ultrasound, MRI, and PET. The defining feature of cloud-based PACS is that they use a browser as the main viewing tool. There is no special software to download or licensing required for reading studies. With a cloud system, you are able to access studies anywhere and at any time. View images from your desk, your home, or the beach. Results can be retrieved from any device with internet access. By eliminating the need for physical disks, you are able to view and report on images more quickly. This is becoming more important as some accrediting organizations now require a two-day turnaround for studies. Many cloud-based PACS providers offer a variety of payment options, including monthly or per study payment options, instead of a traditional, one-time fee. This allows you to avoid the large capital outlay typically associated with an on-site PACS. With benefits like these, a cloud-based PACS could help you enhance patient care while improving efficiencies and effectively managing costs. For more information about how Digirad can provide you with convenient, efficient and cost effective web-based PACS solutions, contact us at 800-947-6134 or info@digirad.com. What is a Stress-Only Protocol? Stress-only protocol is the directive by which a medical provider performs a cardiac stress test without the complementary resting scan. Traditionally, both a resting scan and a stress scan are performed on patients, which are then compared to more confidently support a diagnosis. Often, what could potentially be an abnormality in one image is disproved by the other, thereby reducing inaccurate conclusions. It does, however, subject the patient to two radiation doses, sometimes unnecessarily. Those with a low probability of heart disease, typically younger patients who have limited risk factors, are the ideal candidates to forgo the resting scan and follow the stress-only protocol. Not only does the protocol support the global drive to decrease the radiation burden to patients, it also reduces costs, and saves time. Once the stress scan is complete, the patient waits for the reading physician to review the results. If the recommendation is to perform an additional resting scan, it can be carried out without any delay. In an alternate scenario, once the stress scan is complete, the patient may leave the office. Should the reading physician review the results and recommend the resting scan, the patient can return the following day, or shortly after that to complete the process. Regardless of the logistics, the stress-only protocol can potentially spare your patient an added radiation burden. With that, there are some practical challenges that need consideration, such as the accessibility of the reading physician, clinical confidence in interpreting a low-dose stress-only study, and the flexible scheduling component. The American Society of Nuclear Cardiology supports the stress-only protocol in low to moderate risk patients and recommends using attenuation correction, if possible. With the reduced attenuation, the images will be more uniform and allow for higher reading and diagnostic confidence. By helping to deliver the most accurate depiction as possible, the improved image clarity provided by attenuation correction increases the likelihood of achieving the ultimate goal of the stress-only protocol, avoiding an additional study that increases a patient’s radiation burden unnecessarily.